UV-5R8W: NEW 8-Watt Dual Band HT radio & accessories. 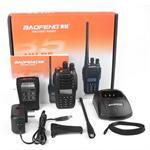 Includes UV-5R 8 Watt dual-band radio, antenna, lanyard, battery, charger, 12VDC power cord, ear wrap & mic, and belt clip. SUPER VALUE ! 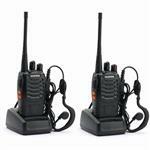 JT270MH: Dual Band Mobile radio pkg. 25 Watts. SUPER VALUE ! 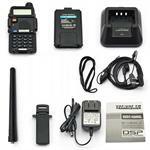 JT270MH: Dual Band ultra-compact mobile radio Transceiver package. 25 Watts. SUPER VALUE ! 12 x Green Laser, for Wholesale. 5mW max output, 532nm. Staight beam, and also includes 5 different kaleidoscope heads, for pattern effects. Also includes batteries (2 x AAA alkaline), gift box, and retail paper cover sleeve. Safety Wand - re-usable flashing emergency beacon & steady flashlight beam ALL IN ONE. LASER KEYCHAIN TOY - with batteries & multiple image head attachments. Programmable Scrolling LED badge. Program messages by Pushbuttons on back. Stores up to 6 messages! Value-priced LED Scrolling Sign Badge - $20 ea. RED LED, black frame . Picture shows front views of the two colors available. Back side image is same for both colors. Housings are matte Black. Program your message vis the push-buttons on back.